Elizabeth Boling, associate dean for graduate studies in the School of Education at Indiana University-Bloomington, will speak Tuesday, Nov. 9, at NIU for a graduate colloquim sponsored by the College of Education’s Department of Educational Technology, Research and Assessment. A seminar session — “The ‘Present Link’: What’s Missing in the Process-Centric View of Instructional Design” — will take place at 4 p.m. in Room 222 of Gabel Hall. Boling’s lecture session — “The Human Instrument – Why Design Thinking is Not Enough” — is scheduled for 7:30 p.m. in the Clara Sperling Sky Room of the Holmes Student Center. It’s common to speak of the ”missing link” — some idea or phenomenon that ties several others together, illuminating them in the process. However, when we view the mainstream conception of instructional design compared to conceptions of design that have evolved over the last 40 years across multiple fields of design, it is clear that for us only one link is fully present and all the others are either missing or masquerading (and being misused) as scientific truths. The “present link” in ID is process, and that link is present in only one form — the process model. Boling will discuss the other — missing — links, Nelson and Stolterman’s view of design as a tradition with its own forms of knowing and building knowledge and some of the implications of incorporating missing dimensions of design into this field. Everyone has discovered design suddenly it seems: business schools, educational legislators, green activists. But what have they actually discovered? The answer varies considerably depending on who is developing the new curriculum, standards or branding program. The spotlight seems to be on design thinking and it shines from an angle Boling calls cognitive, using that term in a somewhat old-fashioned sense but as it is still widely used to mean separate from affective. In this light, skills and knowledge are thrown into relief. However, designers who would be prepared for the challenges expected of them must be prepared for the unknown, the unsolvable and the intractable. There is no process, no principle and no tool which can effect this preparation completely. Designers must be human instruments in designing, which means they must develop aspects of their character and need the help of educators to do so. Boling, who has taught at Indiana University since 1992, previously chaired the Department of Instructional System Technology. Prior to that, she gained extensive real-world experience as a manager of graphics and animation for Apple. 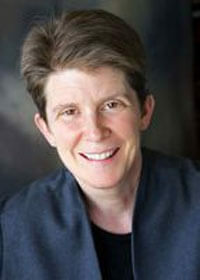 Her current research endeavors span a broad range of design practices and pedagogy in instructional design. Her recent publications address the concerns of design as a concept in educational technology. She currently is contributing to Januszeski’s “The Definition of Educational Technology,” an important work in the field of educational technology. Her work in the areas of visual literacy, instructional design systems and the pedagogy of instructional design continues to contribute significantly to the field. For more information, call (815) 753-9339.